Box is now integrated with Kanban Tool. 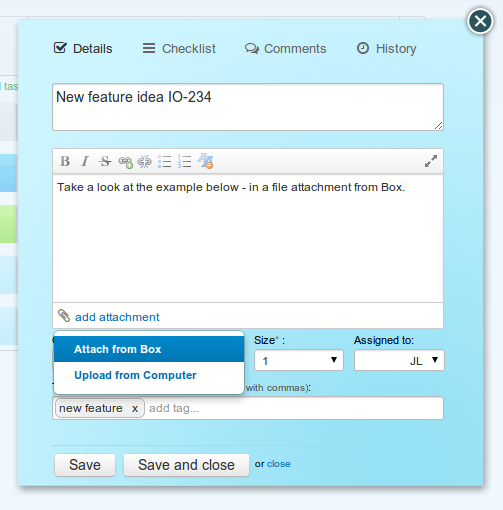 Our new power-up allows you to link files from your Box account to any task on your Kanban board. Now, all your work materials such as important documents, pictures, forms or worksheets are stored online in one place, ensuring maximum productivity and effective team collaboration. To activate Box file attachments visit Power-Ups section, choose "Box" and click on a green "Enable" button. Done! Now you can attach documents to your cards directly from Box service. Enjoy!